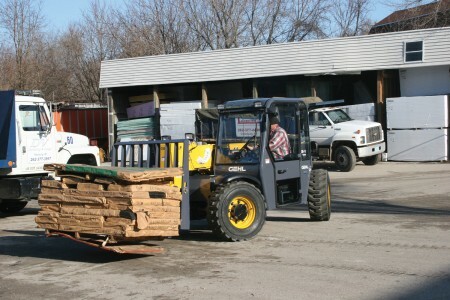 A rigid frame provides extra stability in the machine’s base. 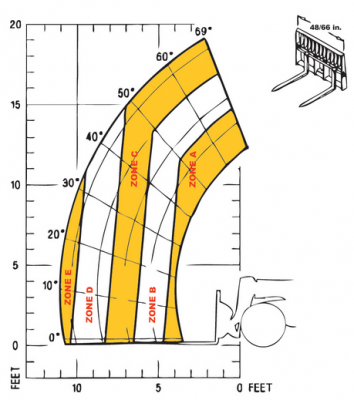 Low boom design increases operator’s visibility. Hydraulic hoses routed inside the boom protect them from jobsite hazards. Reinforced nose on the inner boom provides added strength. Double-wall rear tower provides extra support for increased longevity. 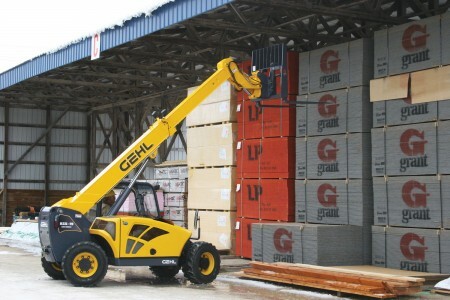 Hydraulic self-leveling lift action automatically keeps the load level as the boom is raised. Dana axles are proven in this application. 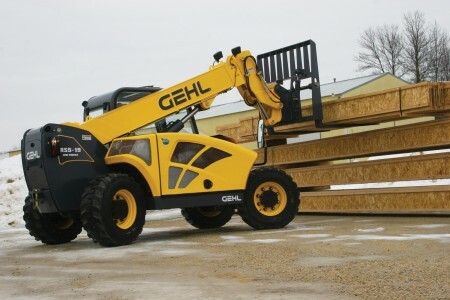 SAHR (Spring-applied, hydraulic-release) parking brake located on the front brakes eliminates the adjustments and cable stretch associated with other telescopic handler models. Inboard wet-disc service brakes with individual bleeders for each brake. Limited slip differential is located on front axle. Highly visible boom level indicator is located on the outer boom and an easy-to-read frame level gauge is located in the cab with angle degrees.